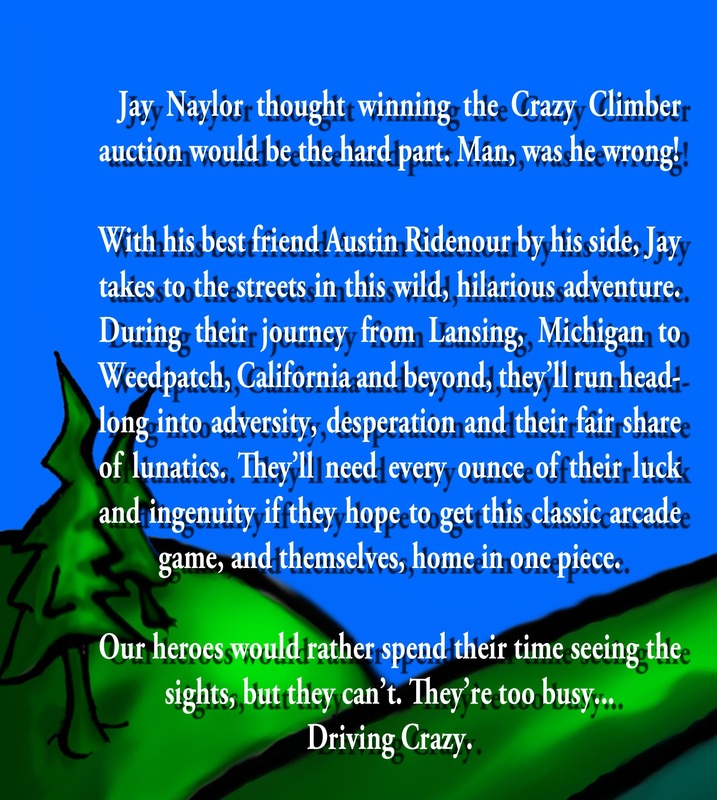 Jay Naylor thought winning the Crazy Climber auction would be the hard part. Man, was he ever wrong! 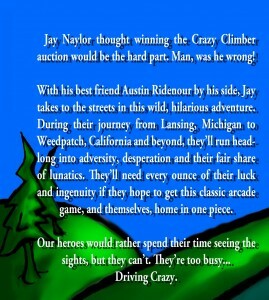 With his best friend Austin Ridenour by his side, Jay takes to the streets in this wild, hilarious adventure. During their journey from Lansing, Michigan to Weedpatch, California and beyond, they’ll run headlong into adversity, desperation and their fair share of lunatics. 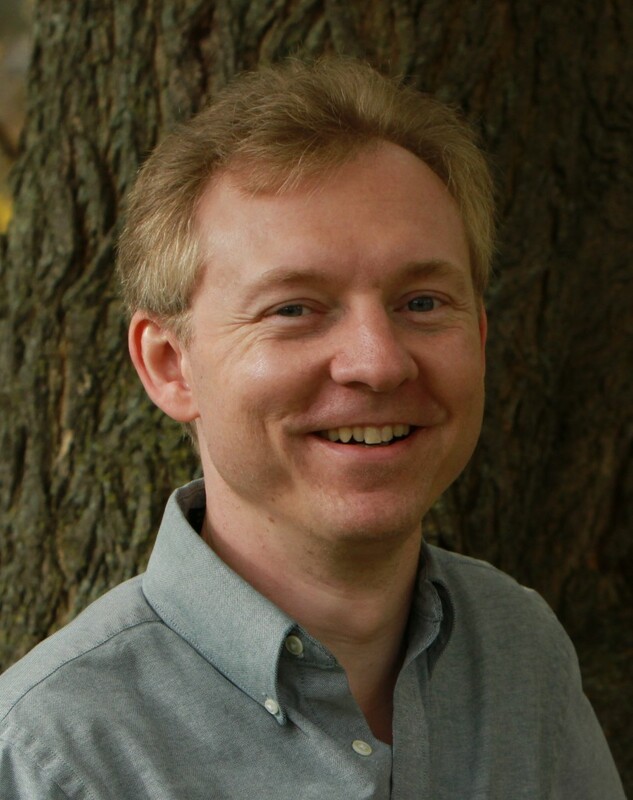 They’ll need every ounce of their luck and ingenuity if they hope to get this classic arcade game, and themselves, home in one piec e.
Our heroes would rather spend their time seeing the sights, but they can’t. They’re too busy… Driving Crazy. Read / Hear Driving Crazy Excerpts and Deleted Scenes! 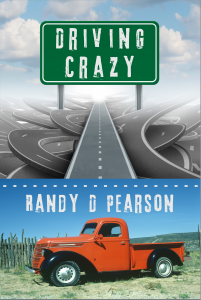 Want a copy of Driving Crazy?